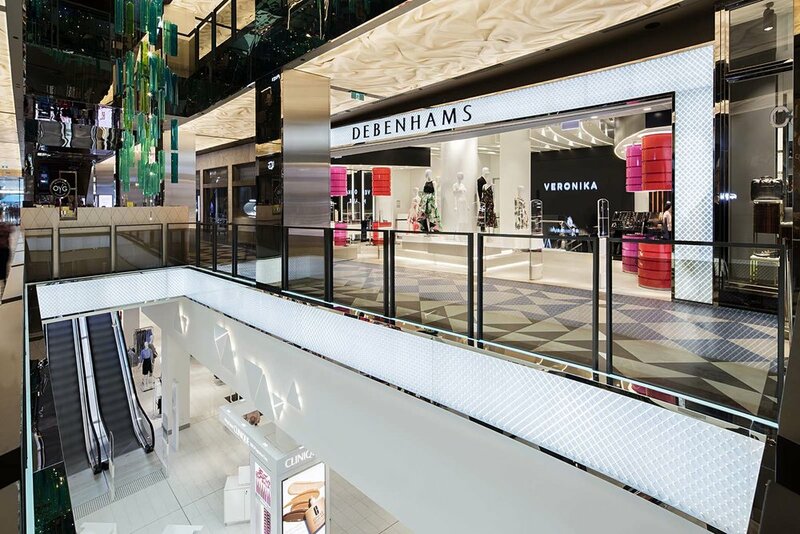 DESCRIPTION: Debenhams‘ first Australian flagship store is a match made in Melbourne at St. Collins Lane. Working closely with Maben to deliver an open plan, yet desirable space to be fitted out accommodating both women’s and men’s fashion, beauty, fragrances and homewares whilst dealing with tight time frames and restricted access. The job was delivered on time and within budget.